7. Thickens the dermis without damaging or removing epidermis. It\'s a slim, elegant roller that\'s compact and easy to use, and comes with rugged equipment. 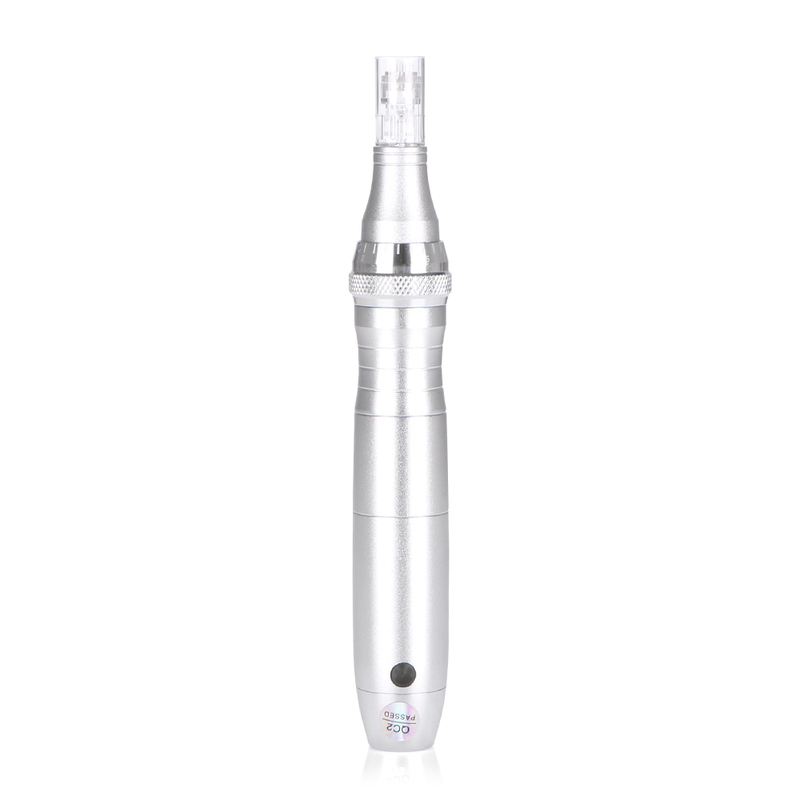 The barrel is equipped with 9/12 microneedles made of titanium alloy, which is more effective for inaccessible areas such as the nose, near the eyes and lips, and in certain parts of the body. The use of 9/12 needles for deep skin absorption promotes the production of missing collagen, resulting in pore and skin regeneration, skin elasticity, skin firming and thickening. The use this items for deep skin absorption promotes the production of missing collagen, resulting in pore and skin regeneration, skin elasticity, skin tightening and thickening. When used on the head (scalp), the pores and skin rollers also stimulate the hair to maintain its thickness and help to thin and bald the hair. Dramatic results can be seen in a week.